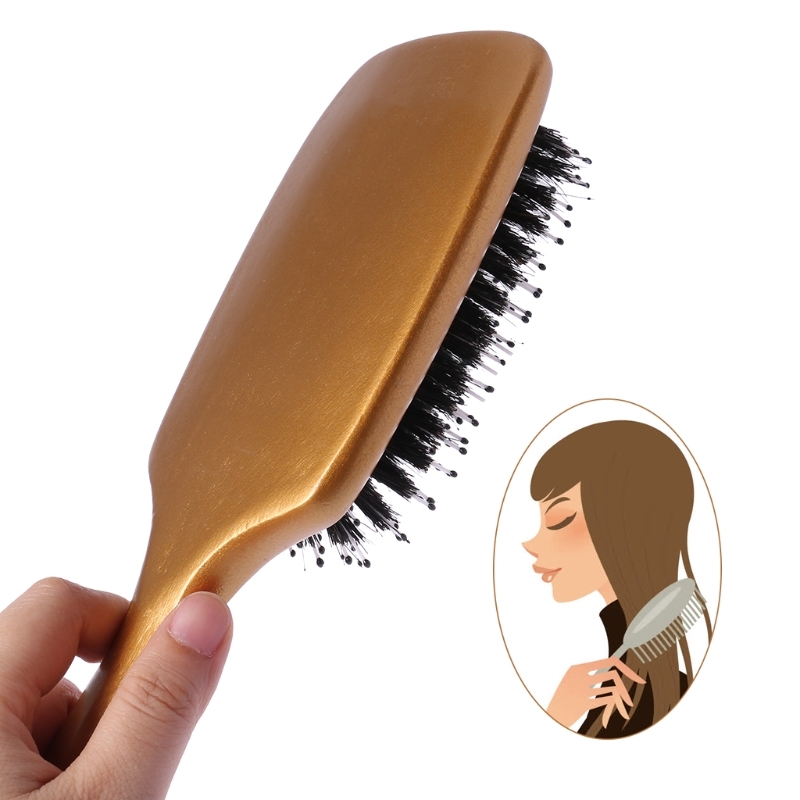 Anti-static design, prevent hair from static damage, make hair healthy and silky. 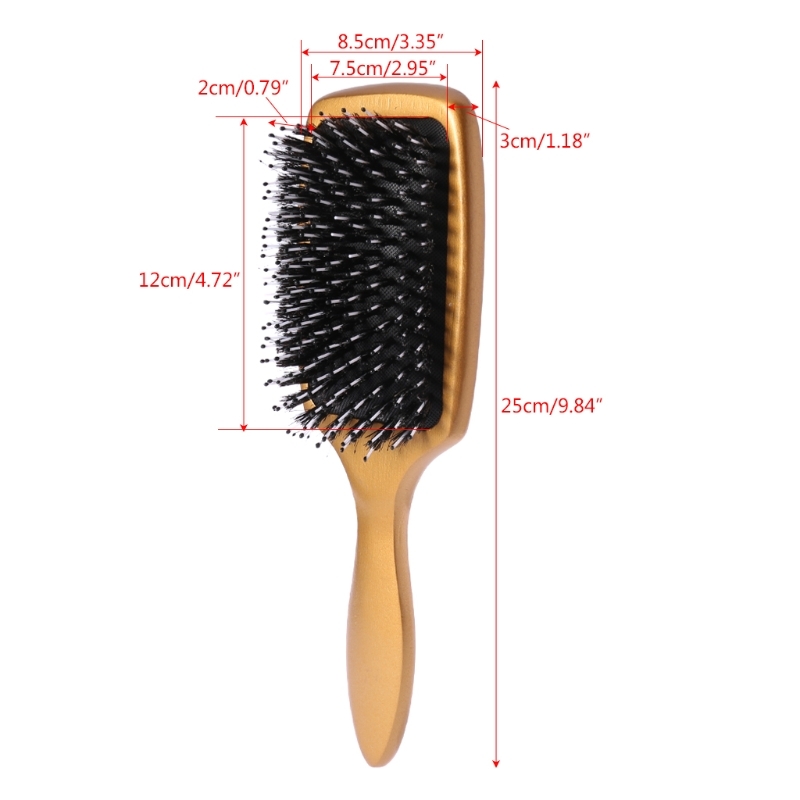 Nylon pinscan stimulate and massage your scalp, accelerate blood circulation. 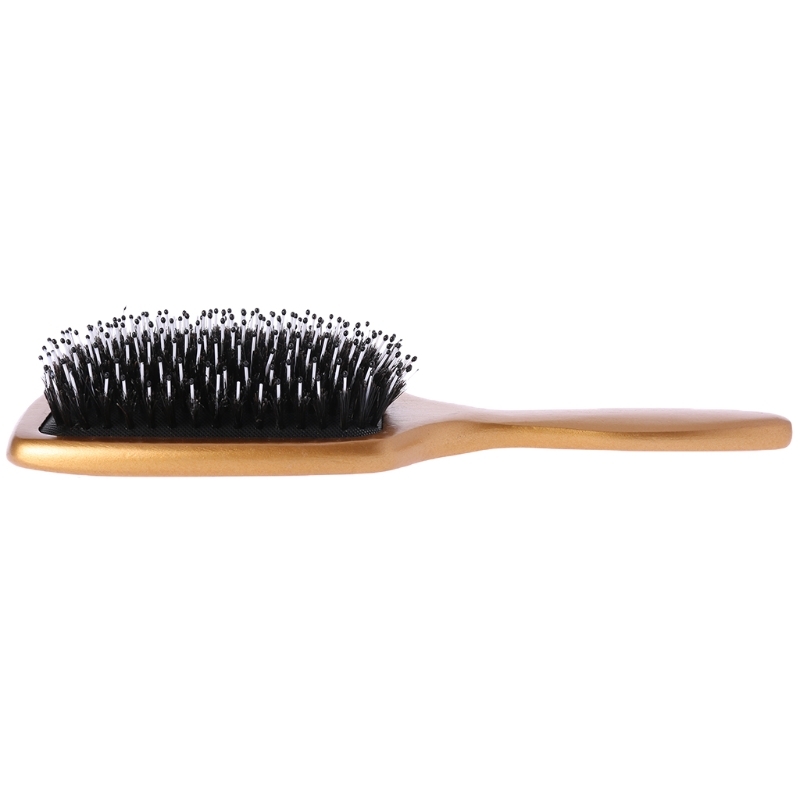 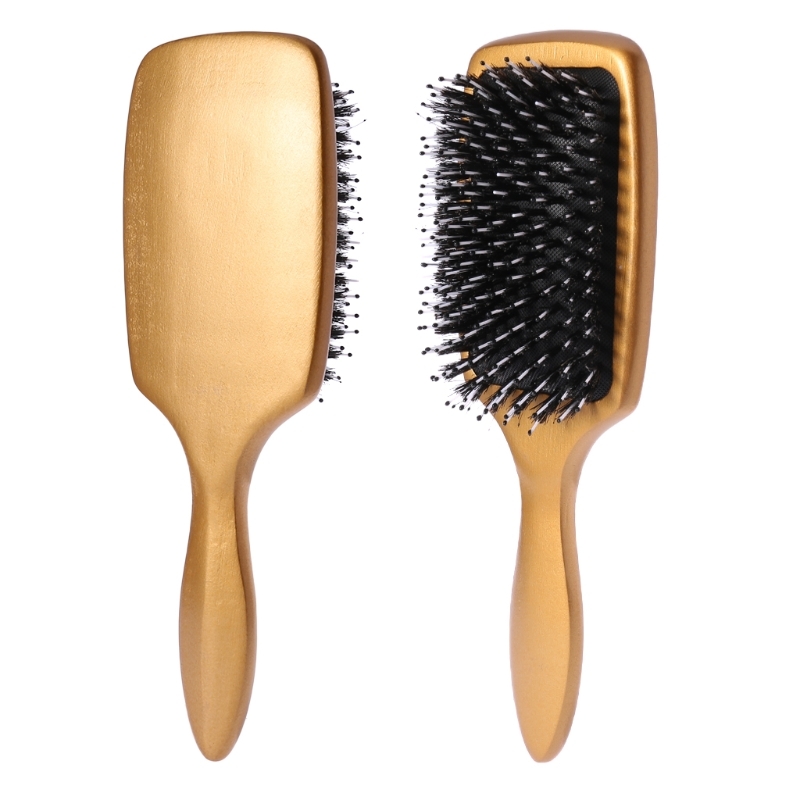 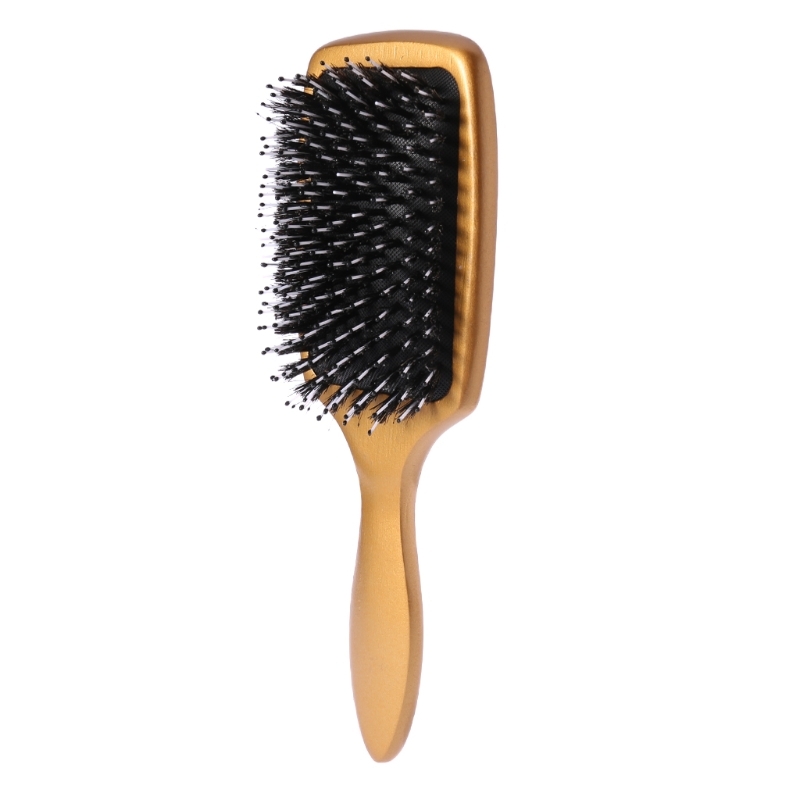 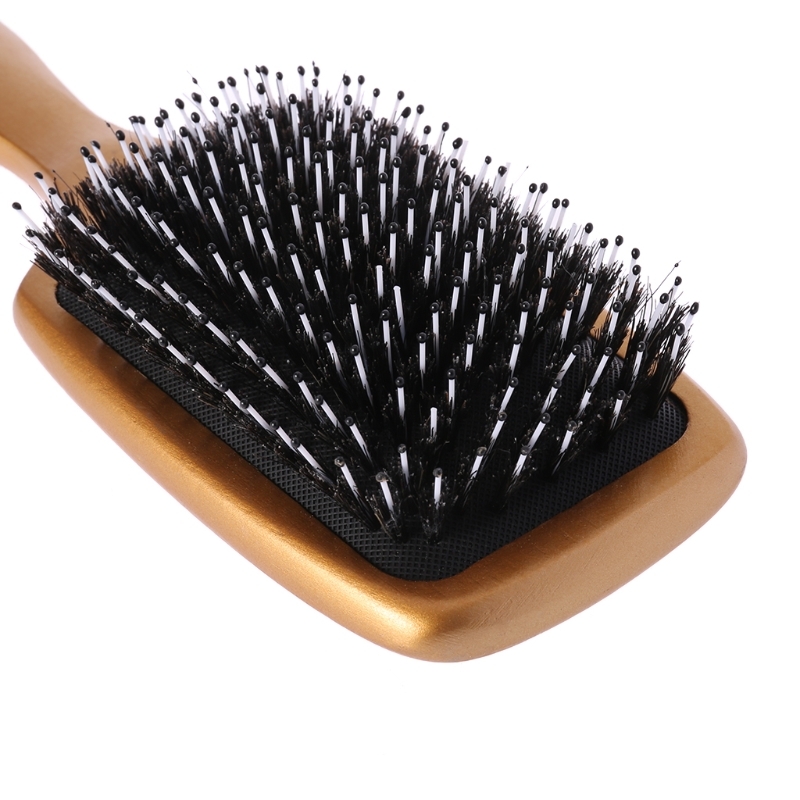 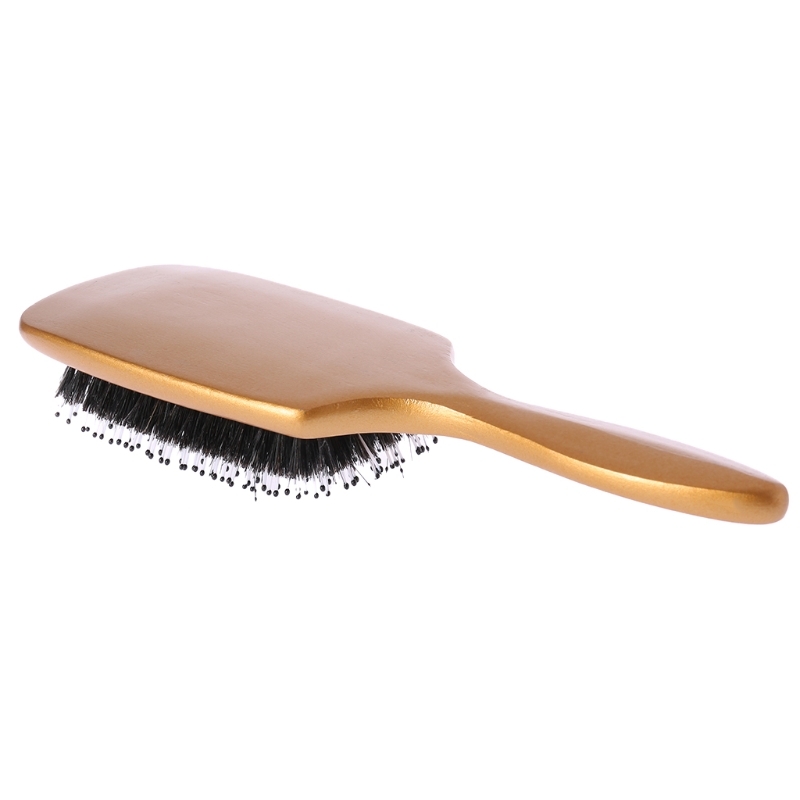 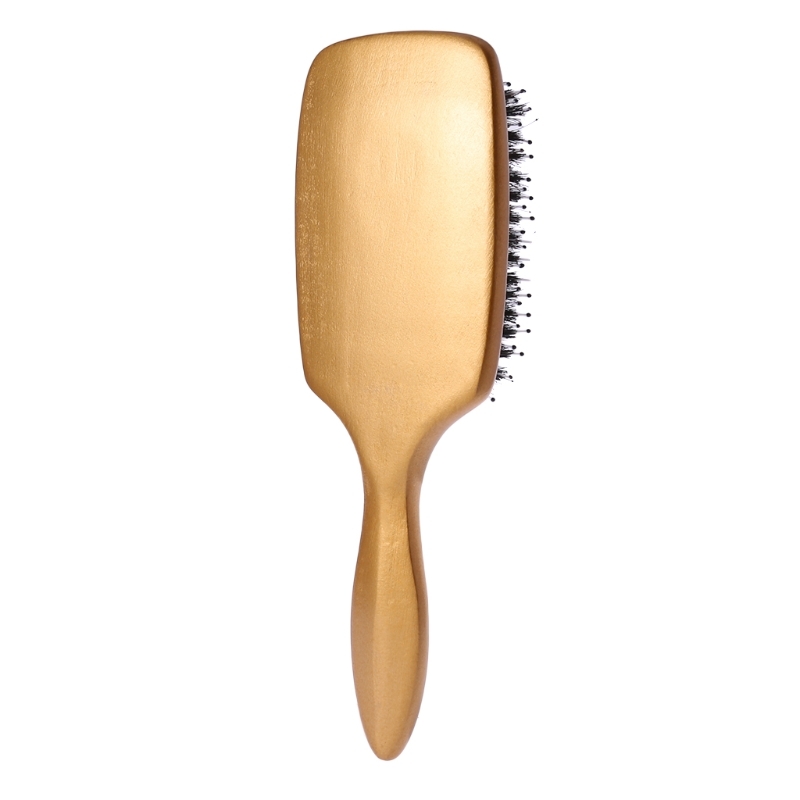 Bristle hair can protect your hair, decrease dandruff and hair bifurcate. 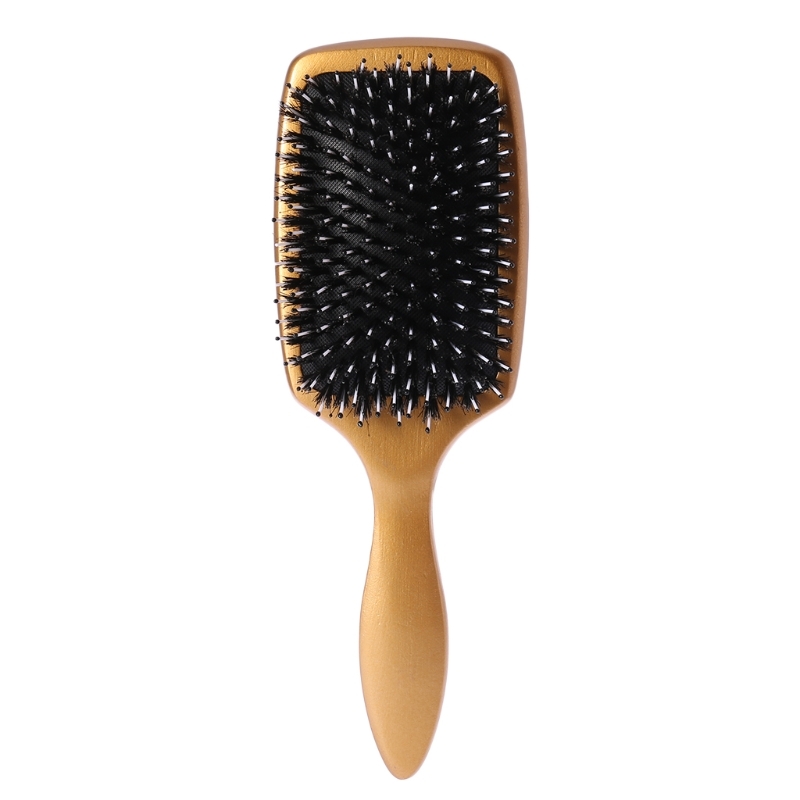 The cushion is made of natural eco-friendly rubber which ensures durability. 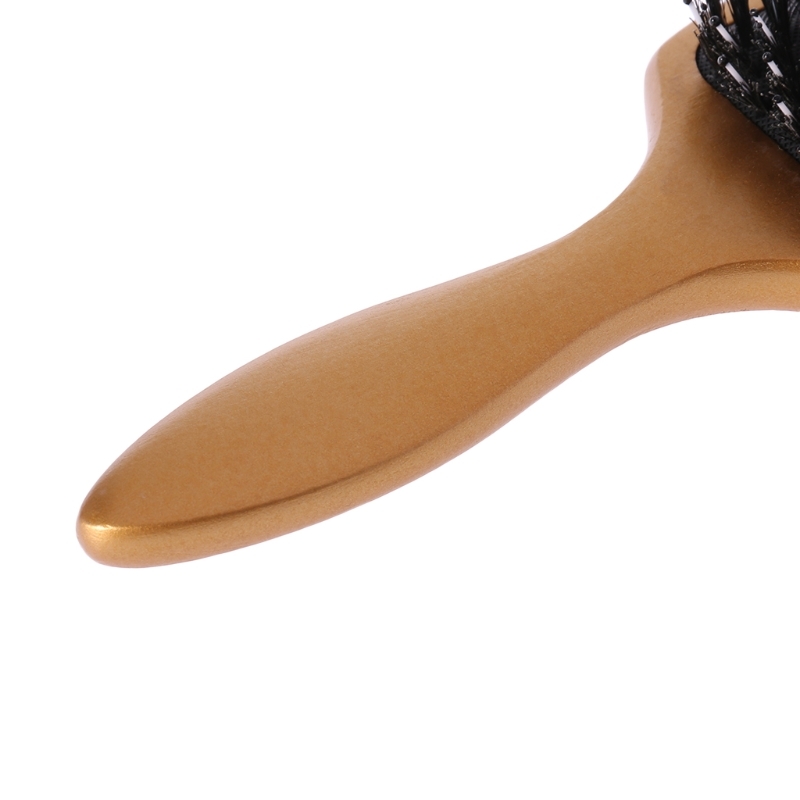 Wooden handle, durable and convenient to use. 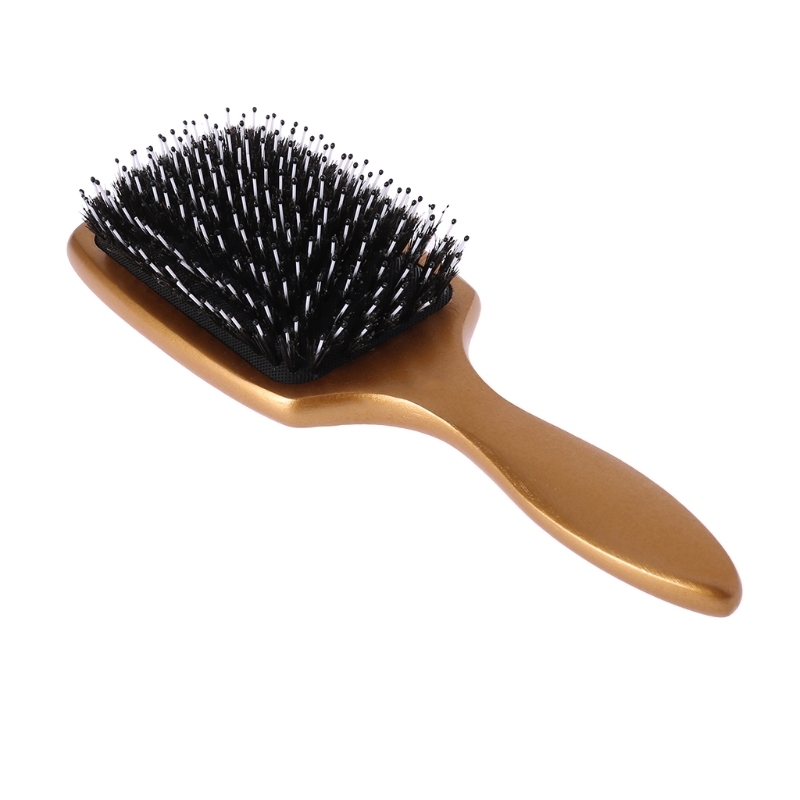 Lightweight and portable, you can carry it everywhere.